Both Russia and Turkey have pressed for US departure, with an end to its support of Kurdish groups, from northeast Syria. Moscow has campaigned for months for American withdrawal, in a combination of criticism and disinformation. It has claimed that the US base at Tanf in eastern Syria, near the Iraqi and Jordanian borders, is training “terrorists” and sheltering the Islamic State from attacks. 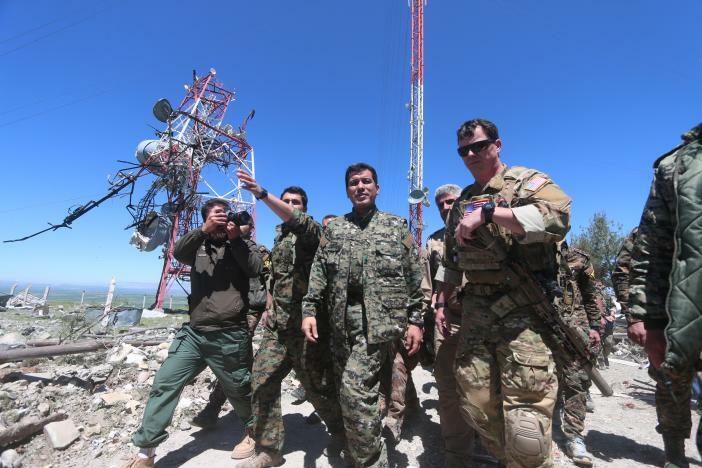 Foreign Ministry Sergey Lavrov returned to the theme on Sunday, both on Tanf and on US support of the Kurdish-led Syrian Democratic Forces in the northeast. What is happening on the eastern bank of the Euphrates River clearly violates the commitment to Syria’s territorial integrity, declared by all and confirmed in the UN Security Council’s resolution. In my view, this is already evident for all. Unacceptable things are happening on the eastern bank of the Euphrates River. The US is trying to establish quasi-state structures, they earmark hundreds of millions of dollars into rebuilding these areas, so that people could return to a normal peaceful life, but they refuse to restore infrastructure on the territories, which are controlled by the Syrian government. Turkey’s Erdoğan Government seized the opportunity to rework Lavrov’s statement into a direct attack on the Kurdish militia YPG, the leading faction in the Syrian Democratic Forces. Daily Sabah, close to the Government, headlined, “US Support of YPG a ‘Dangerous Game’, Russia Says”. Although Lavrov never mentioned the militia, the newspaper said he was referring to “the areas controlled by the PKK-affiliated People’s Protection Units (YPG)”. Turkey considers the YPG to be part of the Turkish Kurdish insurgency PKK, which has fought Ankara’s security forces for more than 30 years. The US created the Syrian Democratic Forces in autumn 2015 to push back the Islamic State in northern and eastern Syria. Donald Trump sought American withdrawal in March, but was checked by the Pentagon, which put more US troops into the country. In a small region located on the Syrian-Iraq border, there are about 1,000-1,500 remaining terrorists. Compare that with the 60,000 YPG military forces the U.S. is using the fight against Daesh [the Islamic State] to maintain its presence in Syria. At the end of October, Turkey carried out its first attacks east of the Euphrates, shelling YPG positions. In response, the Syrian Democratic Forces briefly halted an offensive against the last major ISIS pocket in eastern Syria. The US military is now establishing a series of observation posts on the Turkish-Syrian border.